New Jewelry Collections Launch for the Summer! 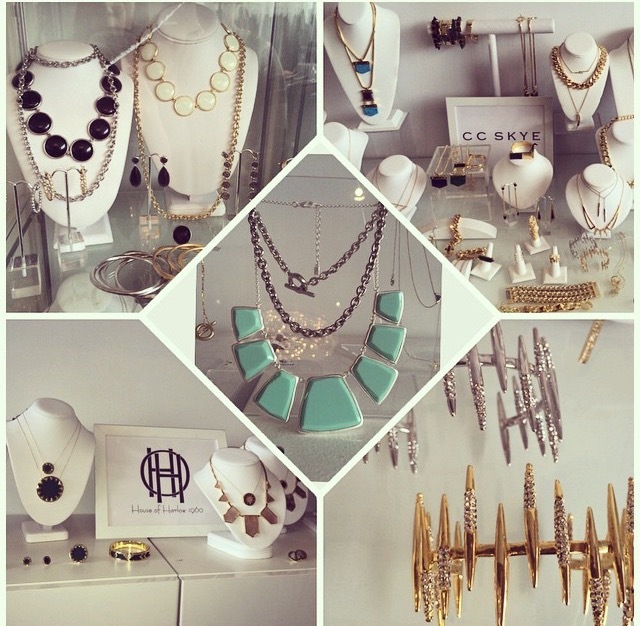 Glamhouse Jewelry held a special press preview on February 27, 2015 that showcased new jewelry collections releasing in Spring/Summer 2015! The brands featured at the press preview included the Nicole Ritchie brand House of Harlow 1960, CC Skye and Karen Kane. House of Harlow 1960s Jewelry Line showcased lots of gold with bold designs such as arrows and statement necklaces. Their Jewelry line is under $100 per piece and will be available starting in June 2015. CC Skye's jewelry line showcased delicate designs with lots of gold and a few pieces with a touch of color. The line ranges from $40-$200. Their new designs will be available in the Fall of 2015. Karen Kane's collection consisted of statement necklaces and lots of beautiful designs. Her pieces are under $100 and will be available in June 2015. Guests were offered blowouts and manicures by Priv. We absolutely loved the latest designs by all three of the jewelry companies and look forward to their launches!